Click a tab below to expand and view content. It was in 1878 when Mr. & Mrs. C.F. Luening opened a store, which was built on South Washington. He had a large stock of furniture and coffins. A few years later Mr. Luening built other buildings on the same block, and in 1899 his son in law O.C. Knowles, became a part of the firm, which was known as “The Luening Furniture and Undertaker Company.” Mr. Knowles died in 1909 and Mr. Luening died in 1940. – In 1918 H.C. Mayer, E.L. Harrison and B.F. Zook bought out the Luenings and formed Mayer, Harrison & Zook Furniture and Undertaking Company. In 1928, E.M. Ashley and Ora Brant bought the company and formed Ashley-Brant Mortuary. Less than a year later, Ashley-Brant sold to Dale and Thelma Deweese who also purchased the Hitchcock Funeral Home. From 1928-1957 the Deweese Funeral Home was located at 112 W. Lincoln St. Mr. Deweese died in 1955 and Mrs. Deweese ran the business until 1957 when she sold to Roy Holder. It was then called Deweese-Holder Funeral home for a short period until the Deweese name was omitted. Mr. Holder stayed at that location until 1960 when he moved to 704 N Washington, which is its present location. In 1963 Dave and Lillie Fisher bought the Holder funeral home and moved their already existing mortuary to North Washington. The Fisher Funeral Home had been in business since 1949. Upon purchasing the Holder Funeral Home, the Fisher’s did extensive remodeling to what was the 1907 Spitler Mansion. The Fisher’s added extra rooms and did extensive redecorating. 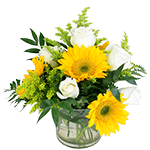 Mr. Fisher died in May 1964, and Mrs. Fisher continued to run the business until October when she sold the business to Fred Thompson of Caldwell, Kansas. Mr. Thompson hired Al Yost of Ottawa Kansas to become the resident manager of Schaffer-Fisher Funeral Home. In 1966 Mr. and Mrs. Al Yost and Mr. and Mrs. George Gwynn purchased the Funeral Home from Mr. Thompson and changed the name to Yost-Gwynn Funeral Service. In 1971, the Yost’s purchased Gwynn’s interest and to become sole owner of the Yost Funeral Service. In 1978, Mr. And Mrs. P.C. Oliver of Oxford, Kansas purchased the firm and renamed it Oliver Funeral Service. On January 1, 1980 sold the business to Bryce and Cathy Day who owned it until February 1, 1983 when he sold it to Jerry and Lucretia Hawks. The Hawks family moved to Wellington from Iowa where Jerry had been employed in the funeral business. Jerry graduated from Gupton Jones College of Mortuary Science, Dallas 1963. Early on he worked in Abilene, Hiawatha, and Frankfort, Kansas until purchasing the Parks Funeral Home of Minneapolis, Kansas in 1972. After the sale of that funeral home the Hawks family moved to Iowa until 1983 when the family moved to Wellington. The name of the funeral home was changed to Hawks Funeral Home in 1983. The Hawks family purchased the Oliver Funeral Home in Oxford, Kansas in 1984 and added the Arkansas City location in 1987. In 1996 Jerry and Lucretia Hawks sold the funeral homes to the Lowen Corporation and later bought them back in 2002. In July of 2005 Steve and Dawn Shelley purchased the Wellington and Oxford locations of the Hawks Funeral Home business.They later purchased the Arkansas City location in March of 2008. The Shelley family looks forward to providing thoughtful service and care to the people of Wellington, Oxford and Arkansas City, Kansas for many years to come. In September of 2006, a crematory was added to the Wellington location for the benefit of serving the growing number of cremation families. 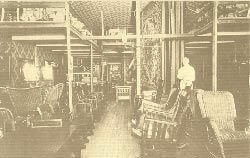 In 1903 J. F. Oliver came from Grand Summit, KS and began what would be a four-generation funeral and furniture business. He opened Oliver Furniture and Mortuary. 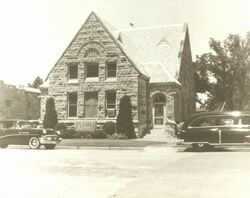 The building housed the Masonic Lodge on the top floor with the Furniture Store and Mortuary on the lower floor. The Mortuary was in the back and consisted of an embalming room and casket display that also served as a viewing area for the deceased. Philip C. Oliver Sr. joined the firm and moved the business across the street next to the Strand Theater which was on the corner, then Oliver Furniture and Goffs Café. The old building was used for storage and the mortuary remained in the back until the Theater was purchased and the Mortuary was moved to the west end of the old Theater building. Eventually the Goff building was purchased and was used for furniture display with a place for cemetery equipment. In 1946 P.C. Jr. returned from the Navy and went to Mortuary School in St. Louis, MO and returned to work in the business in Oxford. After a few years he purchased the Abildgaard Hardware building and moved the furniture store and remodeled the old furniture store to accommodate Oliver Funeral Service. The chapel had seating for 175, family room for 70 an organ, bathroom and casket display. In January 1973 Gerald Philip Oliver joined the firm. In 1984 the Funeral Home was sold to Jerry Hawks. In July of 2005 Steve and Dawn Shelley purchased a portion of Oxford Funeral Service. The Hawks and Shelley’s look forward to providing thought service and care to the people of Oxford, Kansas.